According to the statement on the Chelsea site, Ba has signed a three-and-a-half-year contract for an undisclosed fee (widely reported to be approx. £7 million) and will wear the No. 29 shirt at Stamford Bridge. What do the Chelsea/Newcastle/neutrals have to say about this one? Can Torres and Ba play together? Can Papiss Cisse fill the void, etc, etc? its going to be hard for newcastle to fill the space left by Ba and Cisse definitely needs to start playing as if it was season 2011/2012. but surely they are going to bring someone in to replace him, rumours of Remi would be impressive but also heard Welbeck although the sunderland connection might not go down well. As a NUFC fan, I’m obviously sad to see him leave, but good luck to him. Great player for us and will get a good reception when he returns. But whoever wrote his contract (unless he demanded the release clause) should be sacked. 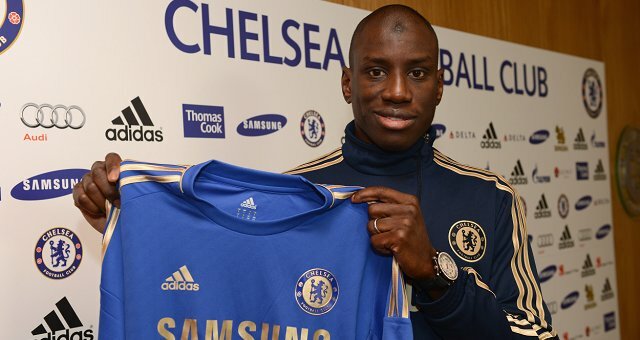 Chelsea shouldn’t beat around the bush and play Ba instead of Nando. @AT – as a fellow Toon supporter, I am sad to see him go, but I do not particularly hold anyone to blame in terms of the contract. Ba is reported to have negotiated similar clauses into his previous contracts and, at the time, we needed a striker. Plus, the £2m we paid for him was widely considered (at the time) to be risky, due to Ba failing a medical at Stoke beforehand. Since then, the Board has tried (at least, that is what the club propaganda states) to remove the clause and tie him down for a longer contract, but to no avail. These things happen. Thankfully, no such clauses are (reported) to exist in our other contracts. Who knows, we might become the Newcastle of old and put in a speculative bid for Neymar! JS – Don’t be silly. If another company came in and offered you a job which would almost double your income, would you say no? Of course you wouldn’t. Ba never proclaimed loyalty to Newcastle. He’s not from Newcastle. He went because he got a good offer and he’s left for the same reason. Bigger club, better money, more chance at winning trophies. If you wouldn’t do the same, you’re an idiot.